If we’re going to feed the world, we will need to grow a lot of food. The global population is expected to near 10 billion by 2050, according to the United Nations with roughly half of the growth taking place in Africa. The UN predicts that by mid-century the human race will require 60 percent more food—100 percent more in the developing world. How do we meet those needs? Organic farmers say we can get there using agroecological practices, and preserve the increasingly fragile environment in the process. But conventional farmers say, that’s a fools promise. Organic farming simply can’t match the yields of conventional farming or produce food as sustainably. And so far, most studies have shown a sizable “yield gap,” particularly for key staple crops such as wheat, soybean and corn. These gaps have been estimated as low as 10 percent and as high 50 percent or more. 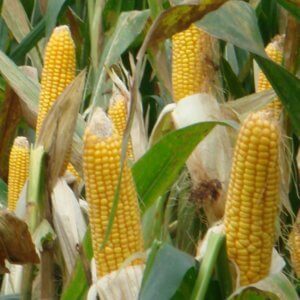 One recent study estimated the shortfall at 35 percent in corn; 31 percent for soybeans; and 45 percent for cotton, a key commodity crop for clothing and other uses. But not all studies show that, particularly an oft-cited meta-analysis requently referenced by agroecology supporters. The largest study done to date published in the Proceedings of the Royal Society in 2015–“Diversification practices reduce organic to conventional yield gap“–compared conventional farming to organic farming. The authors put together a large data set and compared the yields between the two approaches and the effects of a wide range of variables. The paper was met with a wide round of applause among foodies and organic activists. 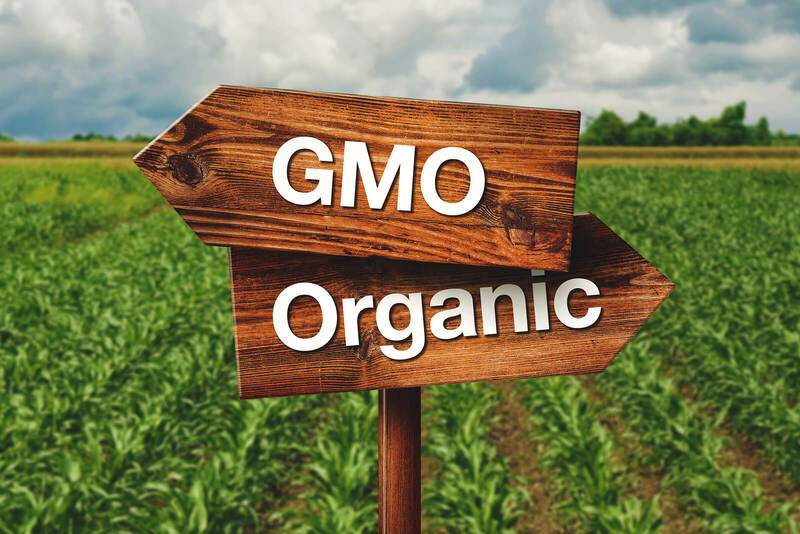 The idea of organic farming is very appealing, and many people hope that evidence that there is little difference in yields versus conventional agriculture, particularly in cases in which GMOs are grown, will lead to wider adoption. The problem in all this is that the study’s conclusions don’t match the findings. As a result, in distorting the public debate over ‘what is sustainable agriculture,’ the flawed research has become a major distraction from meeting the very real challenge of increasing the sustainability of modern farming. Lets take a look at the research, starting with the press release, Can organic crops compete with industrial agriculture? 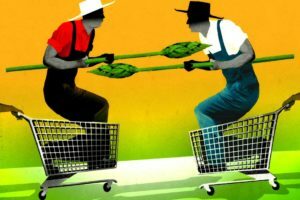 In terms of comparing productivity among the two techniques, this paper sets the record straight on the comparison between organic and conventional agriculture,” said the study’s senior author, Claire Kremen, professor of environmental science, policy and management and co-director of the Berkeley Food Institute. “With global food needs predicted to greatly increase in the next 50 years, it’s critical to look more closely at organic farming, because aside from the environmental impacts of industrial agriculture, the ability of synthetic fertilizers to increase crop yields has been declining. 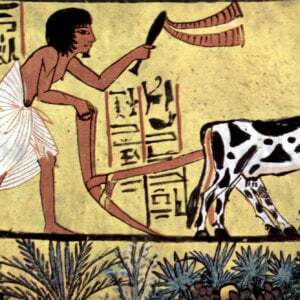 The authors claimed that the previously available data sets comparing farming methods were often biased in favor of conventional agriculture, so prior estimates of the yield gap were likely overestimated. 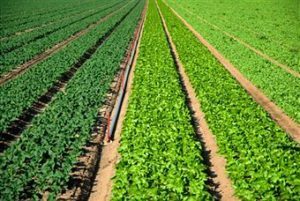 After creating a larger collection of data to examine, they found that methods that optimize the productivity of organic agriculture could minimize the yield gap. They specifically highlighted two agricultural practices, multi-cropping (growing several crops together on the same field) and crop rotation (growing different crops in a series on the same land), that would substantially reduce the organic-to-conventional yield gap to 9 percent and 8 percent, respectively. 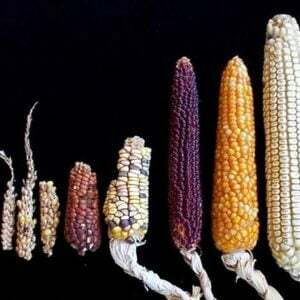 The yield gap also depended upon the type of crop grown, the researchers found. They claim no significant differences between organic and conventional yield gaps for leguminous crops, such as beans, peas and lentils, for instance. We’ll come back to the claim…and the fact that they did not compare industrial conventional farming with non-industrial organic farming. The paper quantifies a number of interesting (if unsurprising) things. It shows that nitrogen is the primary restraint holding back organic productivity. When it comes to leguminous crops, which fix their own nitrogen, the yield gap narrows for specific crops (They also claim, confusingly, that there is little difference between legumes and non-legumes – see Figure 1). 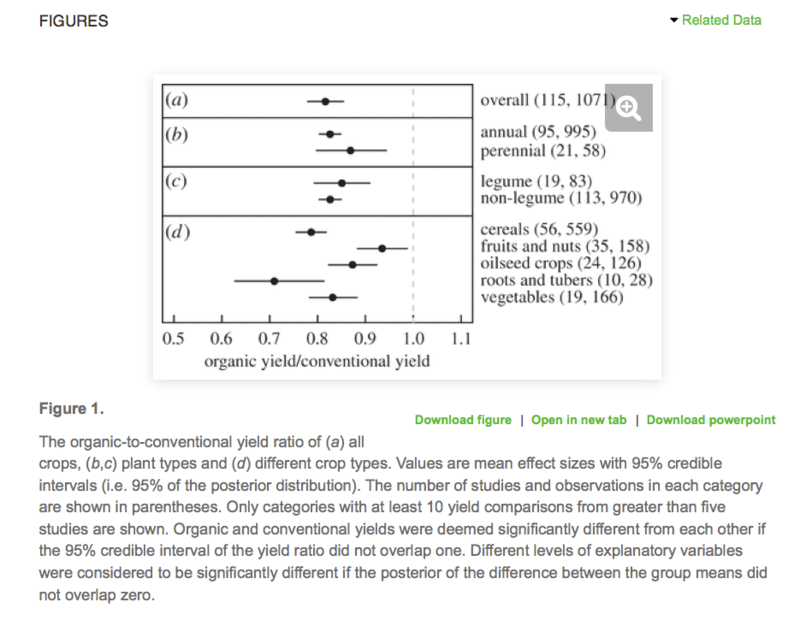 When applied nitrogen levels (fertilizer) were similar between organic and conventional the yield gap shrunk to 9% from 30% in comparisons where conventional systems applied more nitrogen (see Figure 2, below). The analysis appeared to show that the yield gap narrows for fruits and nuts (around 7 percent), and oilseed crops (around 12 percent) but is quite large for cereals (nearly 20 percent) and huge for roots and tubers (nearly 30 percent). 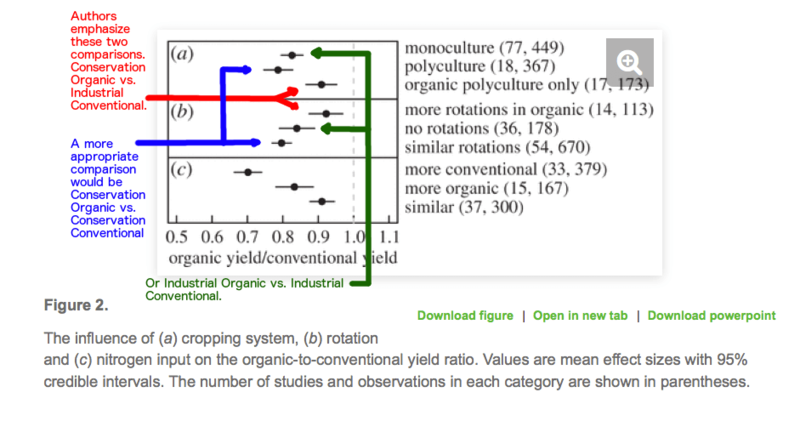 But the set of comparisons on which the authors hang their hat is an apples to oranges comparison of organic polycultures to conventional monocultures, and organic with more crop rotations to conventional with less rotations. In other words it appears to be a clear apples or oranges comparison, perhaps designed to end up with just the result the researchers wanted. Indeed, when organic farmers employ the conservation agriculture techniques of diverse rotations and growing in polycultures, we see the gap closes to around 9 percent. However, when conventional farmers also employ the same conservation techniques that boost organic yields, the gap widens to over 20 percent. Farmers often switch up the crops grown on a field in order to preserve and enhance soil nutrients. Different crops use various nutrients in different amounts. Leguminous crops, like lentils, alfalfa and soybeans actually add nitrogen back to the soil. That is referred to as nitrogen fixing. The most typical rotation is simply corn followed by soybeans. More diverse rotations of three to six crops grown on the same field over a series of years increases soil health, decreasing the need for applied fertilizers, as well helping with pest control, as different bugs and disease attack different plants, so the rotation interrupts their momentum in attacking a crop. Polyculture refers to cultivate more than one or two crops, but it can refer to multiple crops on a farm at one time or to diverse rotations. Along with conservation tillage, mulching and cover crops, diverse rotations and inter-cropping (growing multiple crops in the same field at the same time, often in alternating rows or on the ground between trees in an orchard) are methods collectively referred to as “Conservation Agriculture”. As a rule of thumb, organic farmers historically have relied on diverse rotations and polyculture more than conventional farmers. As organic farming has become more industrial, and conventional farmers adopt conservation methods in greater numbers, this rule of thumb has become less accurate. The counter-intuitive observation in all this is that adoption of conservation techniques by conventional farmers creates an advantage that is even greater than their advantage in monoculture and no-rotation situations. One would think that in polycultures with diverse rotations, conventional farmers would lose some edge, because these techniques can reduce the need for the synthetic pesticides and fertilizers that are forbidden to organic farmers. Instead we see the opposite. It turns out that conservation techniques are even more productive when integrated into a full toolbox approach with judicious applications of synthetic pesticides and fertilizers. Before looking at the implications of this data, I’d like to touch on one other weakness in the reasoning of the paper’s authors. Throughout the study, they discuss yield as if it were apart from sustainability concerns or environmental impacts. Broad adoption of sustainable agricultural methods is unlikely, however, unless such methods are similarly productive and/or cost-effective, such that they improve livelihoods. 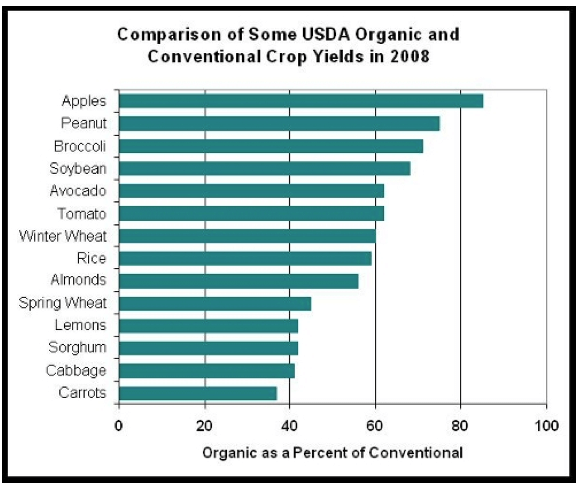 Hence, there is much incentive to determine whether a yield gap exists between ‘conventional’ agriculture (i.e. chemically intensive and biologically simplified) and alternative, more sustainable forms of agriculture, and if so, how it can be reduced or eliminated. But yield is a central metric of sustainability. High yields are an indicator of efficient use of resources. High yields indicate that water, fuel, fertilizer, pesticides, labor, etc were successfully transformed into food instead weeds, bug food, and run off. There is nothing sustainable about pouring resources into a crop that are co-opted by weeds or wasted by pests and disease. Of even greater import is the issue of land use. This is frequently overlooked when considering the environmental impact of farming methods, because it asks us to think counterfactually. We have to ask the question, “What would we have to do to produce the same amount of food if yields were lower?” The answer of course is to use more land. This is no small thing, as I’m about to rudely demonstrate. Related article: Viewpoint: Beware the attack of the Green Blob! We are told by the authors that the yield gap is a hurdle for adopting more sustainable forms of agriculture. Suppose for a minute that it wasn’t a hurdle and we could just adopt what they claim are more sustainable forms of agriculture—organic farming techniques. If we go with the papers finding of 19 percent we would only have to clear out wilderness for cropland the size of New Mexico. Cropland, pasture and rangeland would be equal to clearing out a space equal to New Mexico + California, in order to practice a more sustainable form of agriculture. In the unlikely event of organic production closing the yield gap to 9 percent, we would still need to clear out an area of wilderness equal to Iowa or New Mexico + New Jersey if we include livestock, in order to practice this more sustainable form of agriculture. I’m not sure which definition of “sustainable” includes plowing under vast new tracts of land. And these numbers actually understate the issue, for a number of reasons. The first of which is that all the best land is already under cultivation. Newly cleared land would be less productive and thus we would need to clear even more wilderness. Switching to leguminous fallow cover crops have a number of advantages from an environmental standpoint. Freezing the footprint of agriculture is not one of them. Some critics of organic production point out that these comparison studies often fail to count a fallow cover crop in a rotation against the yield. Adding in fallow legume rotations, significantly raise the amount of land necessary to maintain the same levels of production. Perhaps, more consequentially, switching completely to organic production and phasing out synthetic fertilizers brings us face to face with organic’s dirty nitrogen secret. In addition to using legumes to fix nitrogen into the soil, organic farmers rely on manure for nitrogen. Most of the manure comes from conventionally raised cattle. 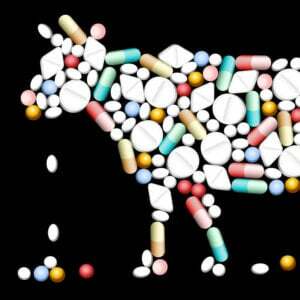 The question then becomes, “Where do the cows get the nitrogen?” It comes from crops grown with synthetic fertilizer. So manure has become a nitrogen laundering scheme, where synthetic nitrogen enters a cow at one end and comes out the other end as organic nitrogen. Organic farming doesn’t have a good answer for this. The opposite of “organic” is “conventional” which is a word with no real meaning, other than “Not Organic”. 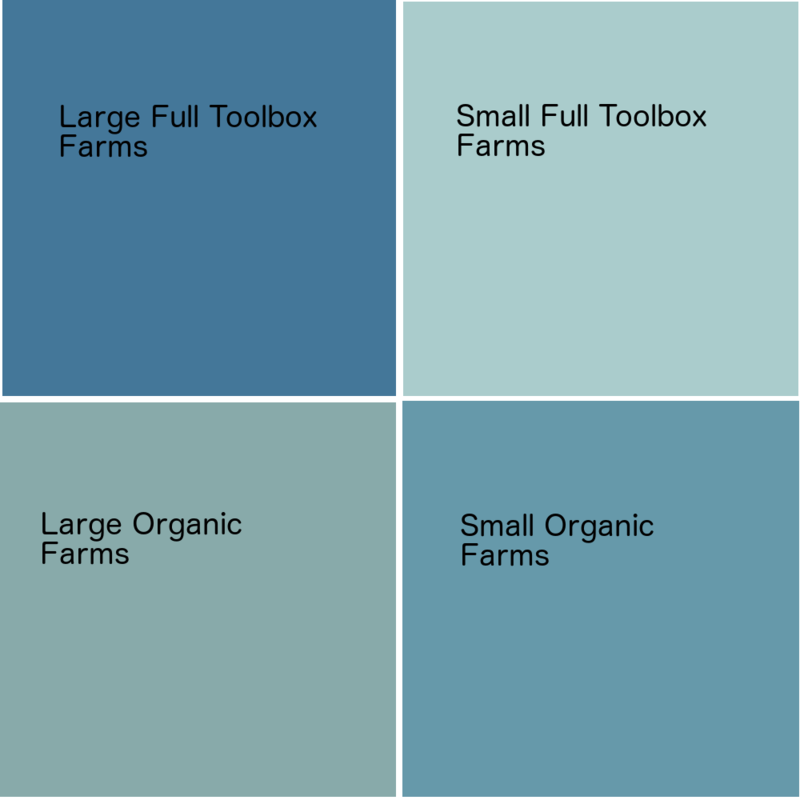 I think of “organic” as agriculture with a limited toolbox, so perhaps a more opposite number would be “Full Toolbox Agriculture”. What struck me was that we don’t really have a term for the opposite of “industrial”. To come up with one, we would first need a definition of “Industrial Agriculture”. I would simply say that “Industrial Ag” means agriculture organized along industrial lines: highly mechanized, employing economies of scale, homogenization of products, in some labor intensive crops “industrial” also means a high proportion of front line employees to management (farm workers to owners). So in agriculture, the opposite of industrial would be smallholder polyculture (SP) farms. So we could have a rough quadrille taxonomy of Industrial Conventional, Industrial Organic, SP Conventional, and SP Organic. Not all organic farms are agroecological, of course. Some are vast industrial monocultures that are as climate-vulnerable as their conventional counterparts. What this new study shows is that agroecology — not organic agriculture per se — is the key to yield and sustainability. How much of a distraction is organic when it comes to how we think about sustainable agriculture and where to turn our resources? Let’s take a look at our quadrille taxonomy but scale it to represent acreage in cultivation for each of our four groups. 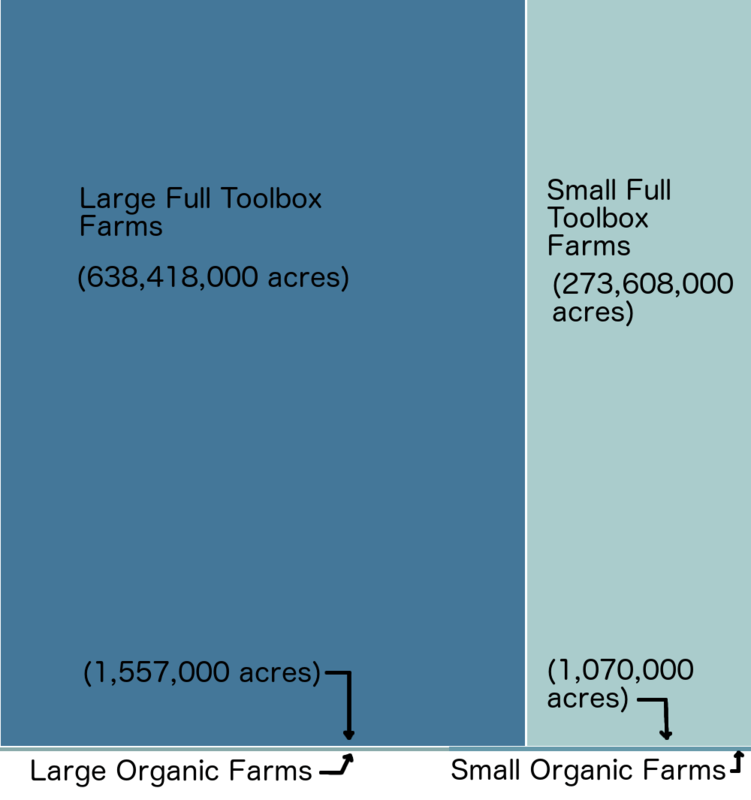 In the U.S., organic production makes up for .8 of cropland and .5 of pasture. In 2011, there were 5.4 million acres in organic out of 914 million total acres, or .6 percent. Farms of over 500 acres made up 70 percent of agricultural lands, while farms smaller than 500 acres made up the remaining 30 percent. Within the organic sector the split was 60/40 with farms of over 500 acres making up 60 percent and under 500 acres making up 40 percent. Our study suggests that through appropriate investment in agroecological research to improve organic management and in breeding cultivars for organic farming systems, the yield gap could be reduced or even eliminated for some crops or regions. What the study showed, was that it is methods that matter, not the ideology or the growing system per se. When we look at the chart above, it doesn’t make much sense to spend even more time and resources trying to figure out how to make that tiny sliver on the bottom right more productive when we could be trying to promote more diverse rotations, intercropping, polycultures and the rest of Conservation Agriculture throughout more of the 99.4 percent of the acreage that Full Toolbox ag currently occupies? Research into cover crops, mulches, composts, diverse rotations and IPM would benefit everyone, organic and full toolbox alike. But instead of focusing on the false promise of closing yield gaps, we could preserve and extend yields while bringing Conservation Agriculture to the masses. Marc Brazeau is a writer on food and agriculture. He blogs at Food and Farm Discussion Lab. Follow Marc on Twitter @realfoodorg.